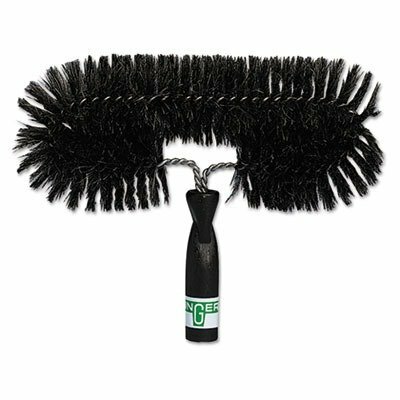 5 wide x 12 long oval brush. Ideal for cleaning ceiling fans and removing cobwebs and dust from walls and corners. Made of heavy-duty galvanized wire and 49% horsehair bristles. Screws onto an extension pole (sold separately).